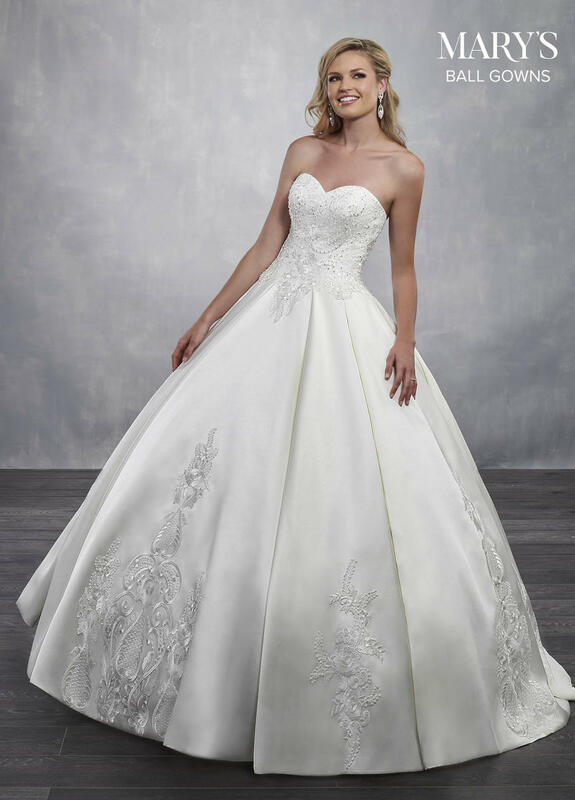 Sophisticated Mikado ball gown with strapless sweetheart neckline and full pleated skirt. The bodice and skirt have been adorned throughout with delicate lace applique, crystal beading and sequins. The gown finishes with a lace-up back closure, sweep train and a matching Mikado bolero jacket.